Dayo kept the girls quiet. She’d thought it would be an impossible task, but one look out the window had been enough for the girls to retreat to their pillow fort beneath the dining room table. Mostly, they slept. They slept not to rest more, but to escape the waking terrors. When they did not sleep, Aasa and Aastha held each other’s hands and whispered quietly. It was Sinjin-Smythe who gave them away. Today, I had a little email meeting with my graphic designer, Kit Foster of KitFosterDesign.com. As we gear up for the launch of Season Two, we have many great things in the works: t-shirts, raffles and prizes aplenty. There will even be…wait for it…free ebooks for people who help promote the serial. There are rewards for helping out. To find out how to get a free ebook, click here. Are you a book blogger looking for a review copy of This Plague of Days? 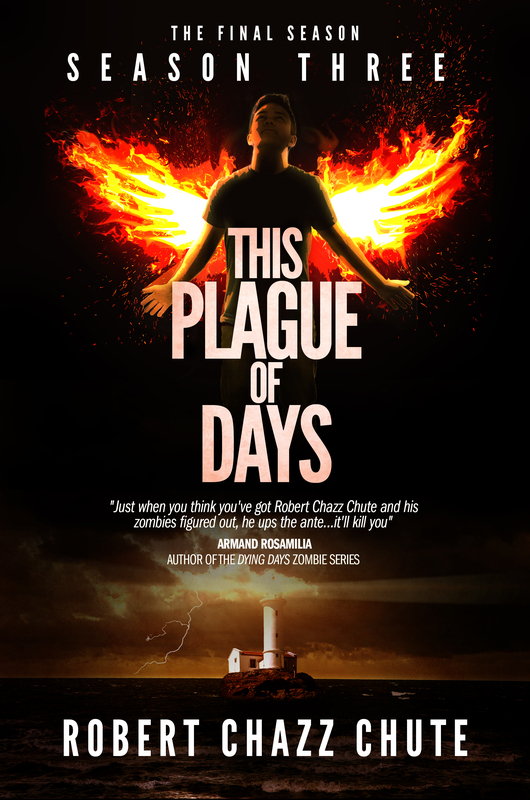 Thanks for checking out This Plague of Days by Robert Chazz Chute. Season Two is going to blow the back doors off your barn full of zombies. 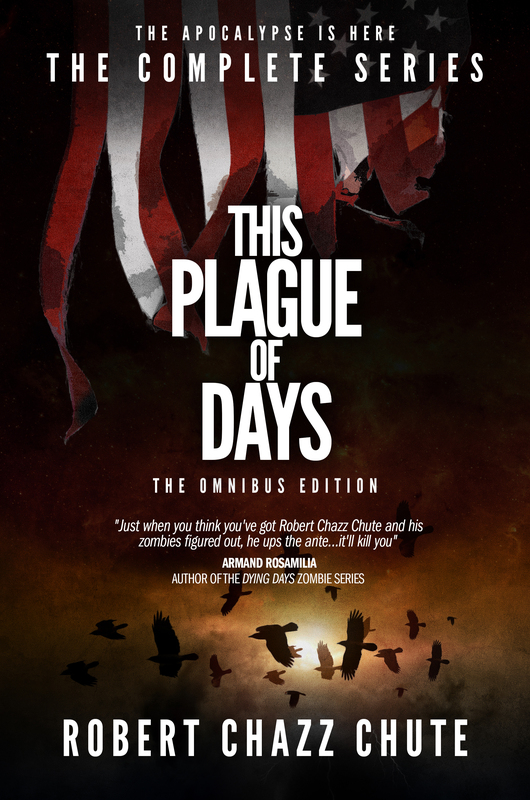 This entry was posted on Tuesday, July 23rd, 2013 at 4:21 am	and tagged with apocalypse, autism, autistic, chazz, dystopian, fiction, free ebooks, horror, paranormal, plague, publishing, This Plague of Days, zombie, zombies and posted in the book, the serial, This Plague of Days. You can follow any responses to this entry through the RSS 2.0 feed.